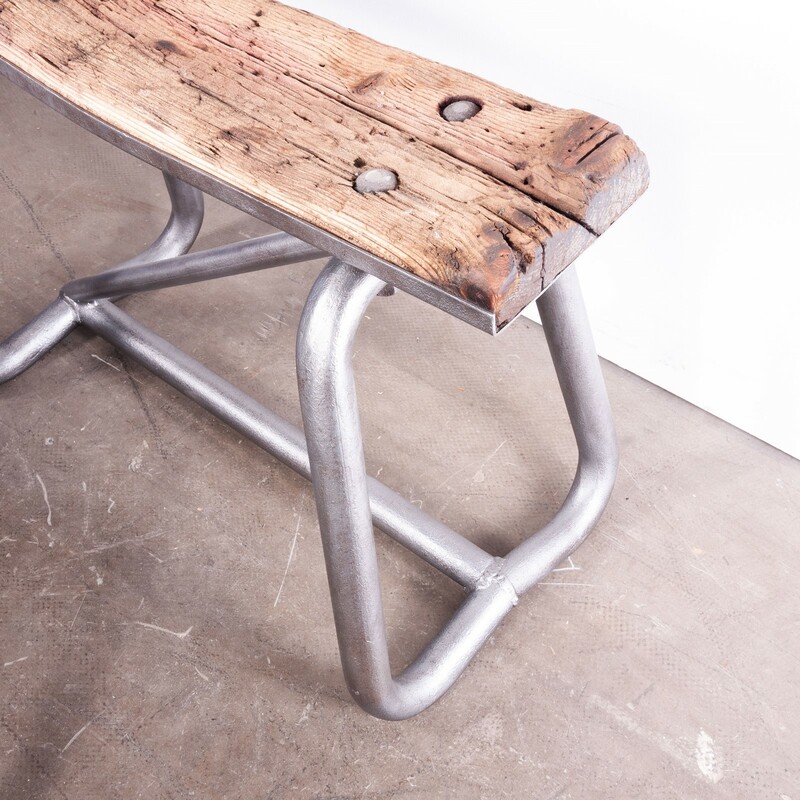 Extremely robust industrial steel trestles. 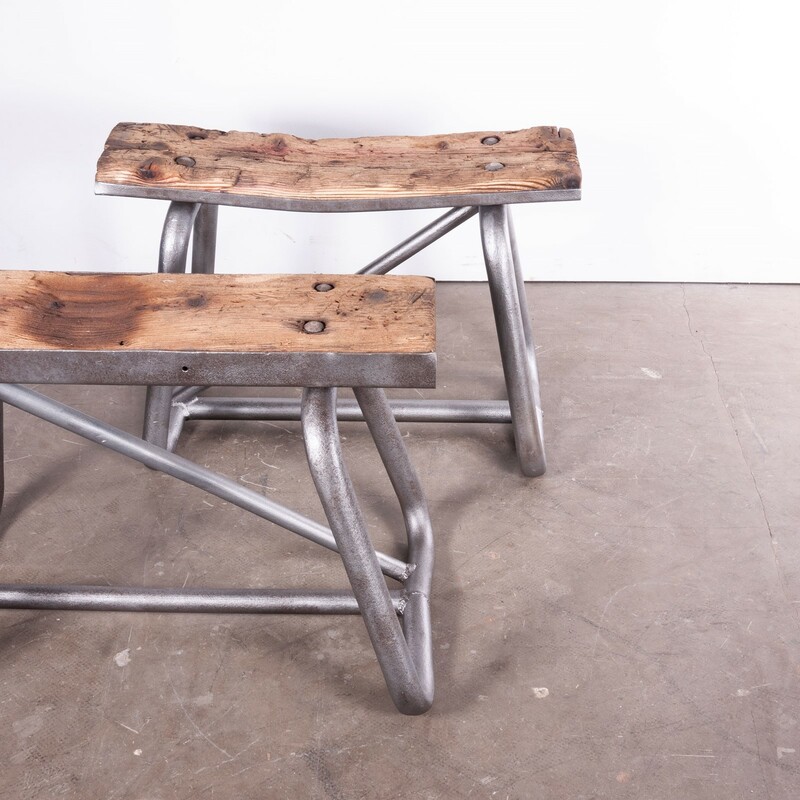 We sourced these from a foundry outside of Machester. They were used to rest/hold the foundry crucibles after use. We have had them sand blasted and sealed. 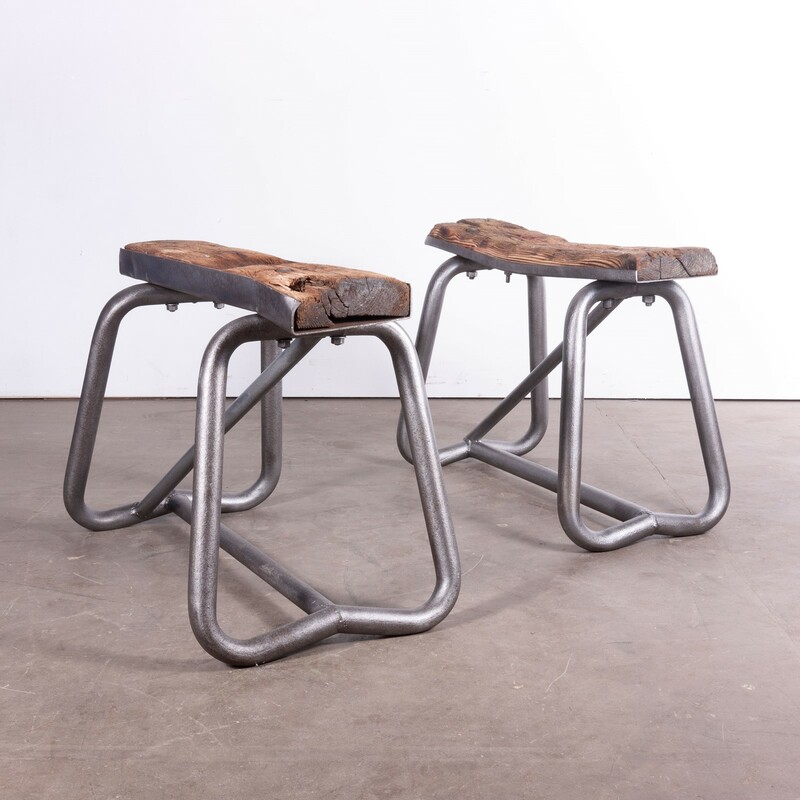 Great for rugged side tables, stools or even a glass top for a low console table. Date: 1960's Maker: Industrial Production - England.